Looking for a lap dog and cuddle buddy? Gillian is your girl! 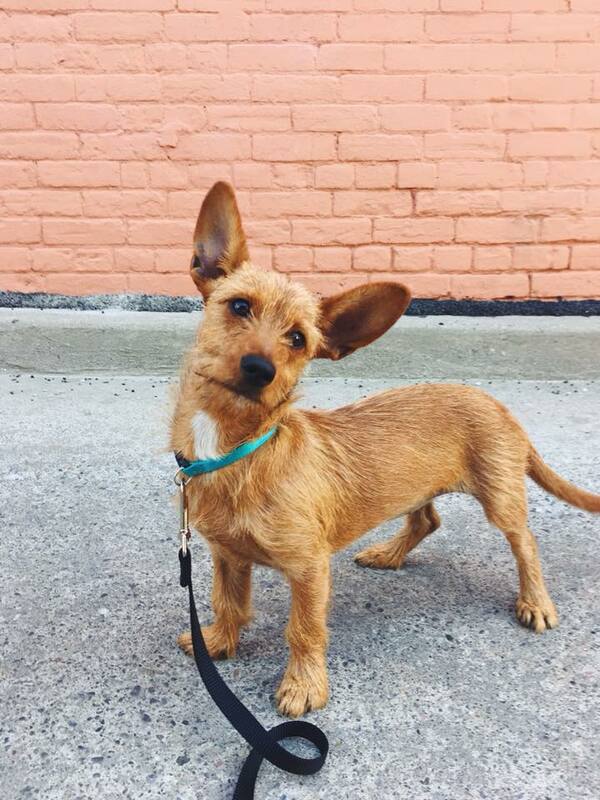 This one year old terrier-mix is a bundle of love. Gillian loves absolutely everyone – humans, dogs & cats – and wants to be as close as possible at all times! She loves to go on walks and sniff about, is great on leash (but also loves to be carried!) Everyone who passes her on the street just falls in love! Gillian is a happy, confident & playful dog who would benefit from an owner who wants to spend a lot of quality time with her & doesn’t mind a few dog smooches! Gillian sometimes gets a bit too overwhelmed with love for her people & can nibble and bark playfully, so lots of toys for her to chew on is a must! She is doing great with crate training (although loves to sleep with her humans at night), and is improving every day with her potty training. She also knows basic commands like sit! She would make a great addition to any family!